One of the more traditional options from the Strada collection, the Rastrelli Herringbone STRADABL03 engineered wood flooring still bears the marks of the distinctively creative range. Warm tones of caramel and honey are beautifully matched by the beauty of natural grain profile. 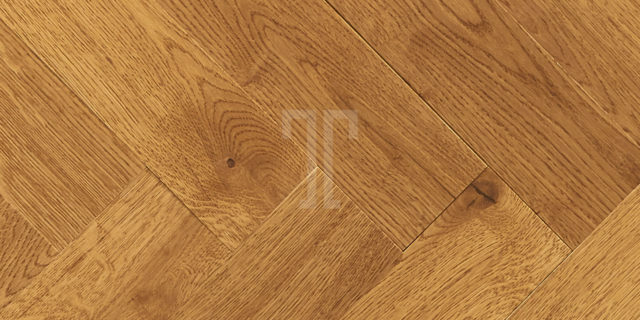 Available in two pack sizes, with various lengths and widths for a perfect fit in any room, this premium quality European oak flooring features a 12 coat double-lacquered finish for extra strength and durability. The 20 year guarantee and the innovative click system make this Rastrelli engineered wood flooring an ideal choice, for both practical reasons as well as for its distinctive interior design appeal.